After substantial discussion on the Street and volatility across global markets, the Fed chose to ignore the noise and announced that it will not be raising interest rates at this time. We say good for the Fed! In our view, the Fed was essentially put in a no-win situation, so chose to ignore the noise and focus on fundamentals. Raising rates by 25 basis points makes no sense in terms of the fundamentals of the US economy; plus, further strengthening of the dollar will not help global markets over the long-term despite any near-term relief rally. Keeping rates unchanged may induce continued volatility across markets, but, in our view, the Fed did the right thing, and investors should consider such volatility as an attractive buying opportunity. In our view, we think future rate hikes are highly unlikely until the second half of 2016 for a variety of reasons. For one thing, politics. 2016 is an election year. So, unless absolutely needed, why mess with the economy and the markets? On the other hand, by late 2016, with the Obama administration on its way out, a rate hike of 25 to 50 basis points could be the signal of a successful presidency. The president entered office at a time the country was hurting from a financial meltdown and could be exiting at a time of a much strengthened economy where a small rate hike could be justified as a new turn in monetary policy. For another thing, inflation trends. The August 2015 Inflation rate was 0.2%, versus the Fed target of 2% for a rate hike. 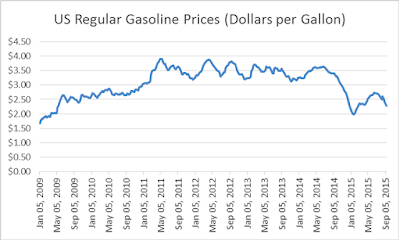 Gas prices are a big factor driving the moderated inflation rate, with prices at the pump down 1% year-over-year. Unless a significant shortage suddenly erupts perhaps due to disruption in the Middle East, we do not foresee a major reversal of the trend. 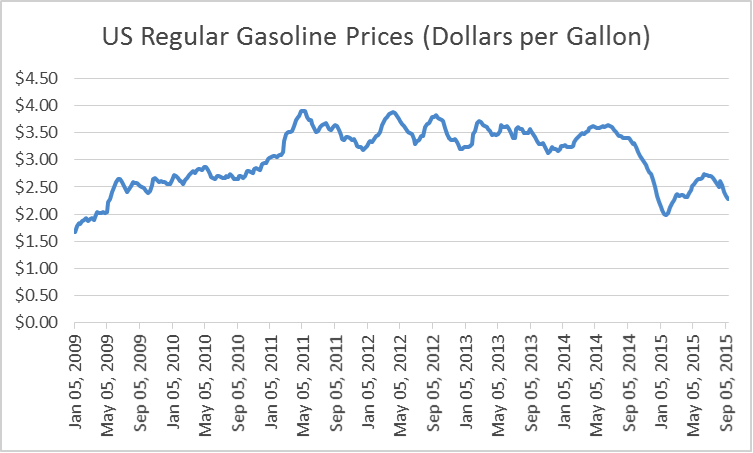 Note that gas prices today are roughly in line with prices in 2009, though with the US economy and the US consumer in a much stronger position. In terms of how the Fed views a sluggish Chinese economy (or, for that matter, any economy outside the US), we think that this week’s decision suggests that the US economy still remains the Fed’s focus. That is how it has always been when the world was dominated by the economies of the US and Western Europe – and that is how the Fed will continue to operate even as other economies bloom. And we agree with that philosophy. Now, in terms of where to invest, we reiterate once again: take advantage of the market volatility to diversify portfolios. Market behavior is cyclical, and valuations in Africa and other frontier and emerging markets have come down nicely. So take this opportunity to allocate to actively managed funds focused on those regions.